ASUS Republic of Gamers officially unveiled their latest lineup of gaming laptops at CES 2019. 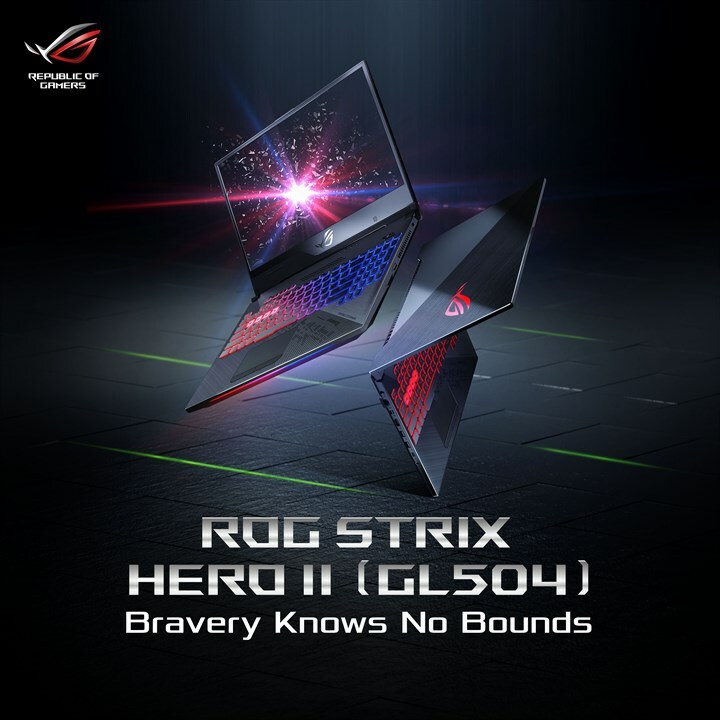 This includes ROG Mothership, ROG Zephyrus S GX701, ROG Zephyrus S GX531, ROG Strix Scar II, and the ROG Strix Hero II. All of which are powered by the latest NVIDIA GeForce RTX series. The GZ700 desktop replacement emphasizes performance over portability with a traditional clamshell in the ROG G703. 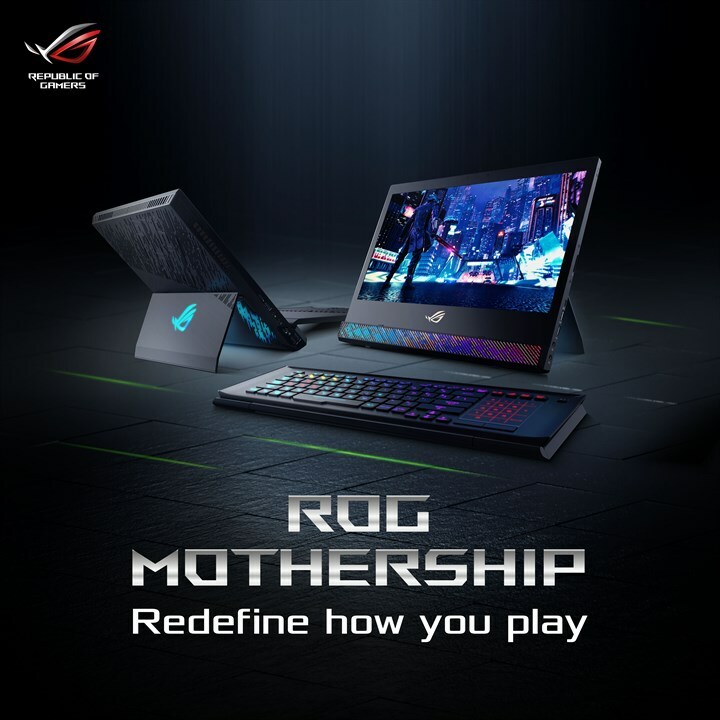 It is joined by the ultra-slim ROG Zephyrus S GX531 that goes beyond gaming. While the ROX Strix Scar II and Hero II reprise their roles in the esports arena with portable form factors. 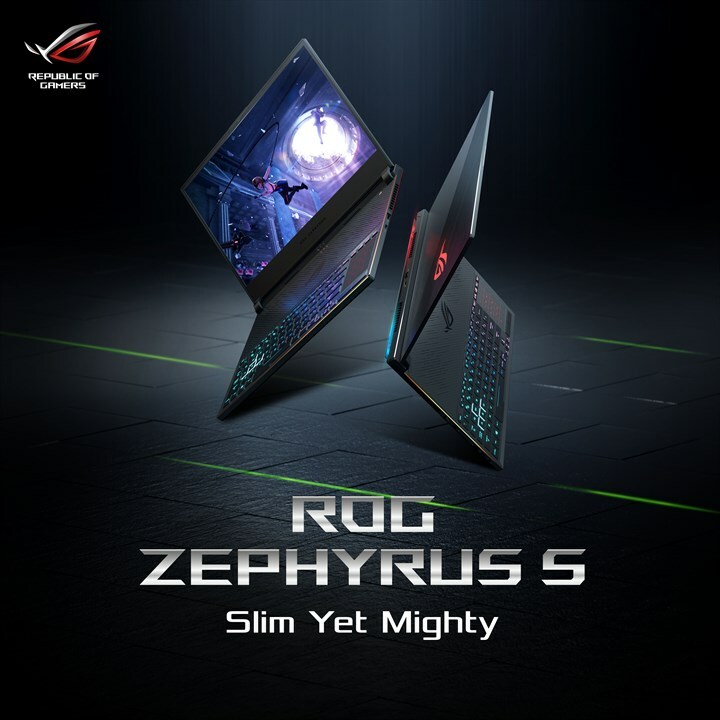 The ROG Zephyrus S GX531 is an ultra-slim laptop with high-end gaming components. The slender exterior measures nearly at 15mm thin with a 15.6” display with narrow bezels to squeeze into a smaller footprint. It is powered by the latest Intel Core i7-8750H processor and has a refresh rate of 144Hz. While it lacks some of the extras available in the 17” ROG Zephyrus S GX701, the GX531 makes a more focused alternative for people who prioritize portability. 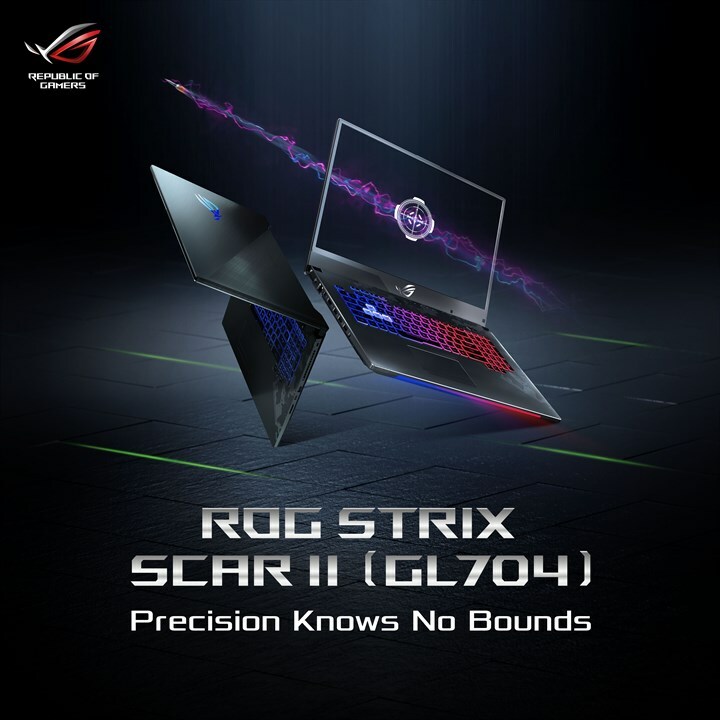 The ASUS ROG Strix Gaming Laptops are available with the six-core Intel Core i7-8750H processors backed by up to 32GB of RAM. They combine a solid-state drive with a terabyte of additional mechanical capacity for larger game libraries. The auxiliary hard drive can also be swapped for an SSHD to accelerate load times. The ROG Strix SCAR II is built for FPS players and comes in 15.6” and 17.3” with the same 144Hz refresh rate and 3ms response time. The NVIDIA GeForce RTX 2060 graphics give the 15” SCAR II GL504GV and the 17” SCAR II GL704GV enough horsepower to triple-digit frame rates. The SCAR II GL504GW and GL704GW models also give an option to upgrade to the more capable RTX 2070. The ROG Strix Hero II, on the other hand, is built for MOBAs and subtler styling. The Hero is available exclusively with the GeForce RTX 2060 graphics. All of the ASUS ROG NVIDIA GeForce RTX gaming laptops are available with 144Hz panels and grey-to-grey response times of 3ms minimizing ghosting and blurring. They also employ dual 12V fans capable of moving more air at higher RPMs. Lastly, they can be configured with NVMe SSDs. Along with these, the ROG Armoury Crate software can be used to unify system tuning and lighting control. It includes four game profiles that load preferred settings automatically when specific applications launch. This can then be linked to a mobile device to put monitoring and control on a separate screen. 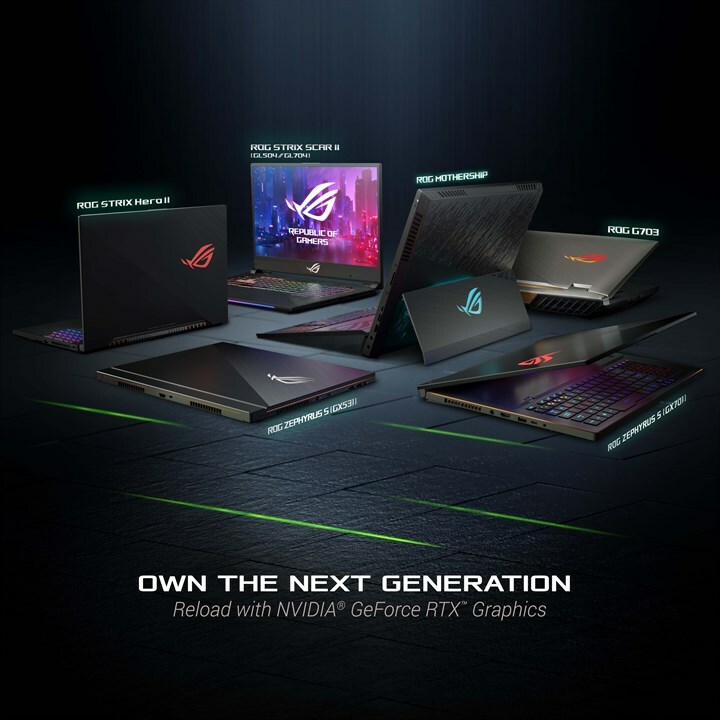 The new ASUS ROG NVIDIA GeForce RTX-powered gaming notebooks will be available in the first quarter with local pricing, configurations, and availability to follow.